I am convinced that Ken Oppel is required by contract to have at least one weird creature in his books. We’ve had flying cats, lonely bats, and maybe even mutated rats (that last one I may be wrong on, but it rhymes, so I’m keeping it). In This Dark Endeavor, though, the creatures are real. Some are rare, but they still exist. That’s what I love most about the book. Yes, it’s a prequel to Frankenstein and it’s all about alchemy, but the chemistry and the biology stay pretty realistic. Victor Frankenstein, creator of the famous monster, is the protagonist and the narrator. What is interesting is that Victor is deeply brooding – which, little known fact, is also a requirement by contract for YA characters. Oppel does a good job setting up the man who will try to conquer death itself through science. I guess that’s part of the trend of the “when they were young” books that are coming out; we get to see the origins of well-known characters. The downside of that trend, though, is that those books sometimes rely too heavily on prior knowledge from the original source. While I benefited from having read the original Frankenstein, students that have read only This Dark Endeavor were still able to understand and appreciate what was going on. In fact, some went on to check out the original. Having a semi-villain for a protagonist makes for an interesting romance. Normally, you cheer for the hero to win their love, but this time he’s trying to steal from his brother, we know he’s making things worse, and can’t quite endorse what he’s doing. It’s definitely not your normally love story. Oppel succeeds in making the Frankensteins seem like a real family from history and the characters are the backbone of the story. Students who like adventure stories and won’t be daunted by an 18th-century setting will enjoy it. I’ll be honest. It’s pretty tough to convince me that the world needs another Cinderella re-telling, especially since so many stories out there are rags to riches. Re-tellings of fairy tales are huge right now, which makes sense because literary agents were actively seeking fairy tale re-tellings a few months ago. The fact that there are two Snow White movies competing in the theaters at the same time is evidence enough of the trend. How does Marissa Meyer stack up in a world already dominated by Gail Carson Levine and Robin McKinley? What does she bring to the table? Those two words have been all that I have needed to get students excited about the book. What’s fun is that Marissa Meyer is a Cinderella story herself. She started out by posting Sailor Moon fan fic to the Internet and then went all the way to sell Cinder, her NaNoWriMo project. I can support that. But is the book more than just cyborg Cinderella? Gimmicks can only last so far. The characters are interesting takes on the traditional story. By changing the setting to a future where the Earth dominions are at war with the Moon, there is a purpose behind the ball at the end – more than just, “Eh. Prince Charming needs to get hitched.” Prince Kai is a round character who is diplomatically fighting to protect Earth from a Lunar invasion. He’s not shallow by any stretch of the definition. Cinder is an accomplished mechanic that is trying to save her step-sister and can’t be bothered by going to a dance. The relationships are definitely the focus of the novel. The Lunars can control minds, and there are some cool stand-offs using those powers, but for the most part they’re spiteful and covert. Since this is book one in a four-book series, maybe we’ll see some more overt uses. It always amazes me in a sci-fi book/movie when the audience (myself included) connects to an alien/robot and sees humanity in them. 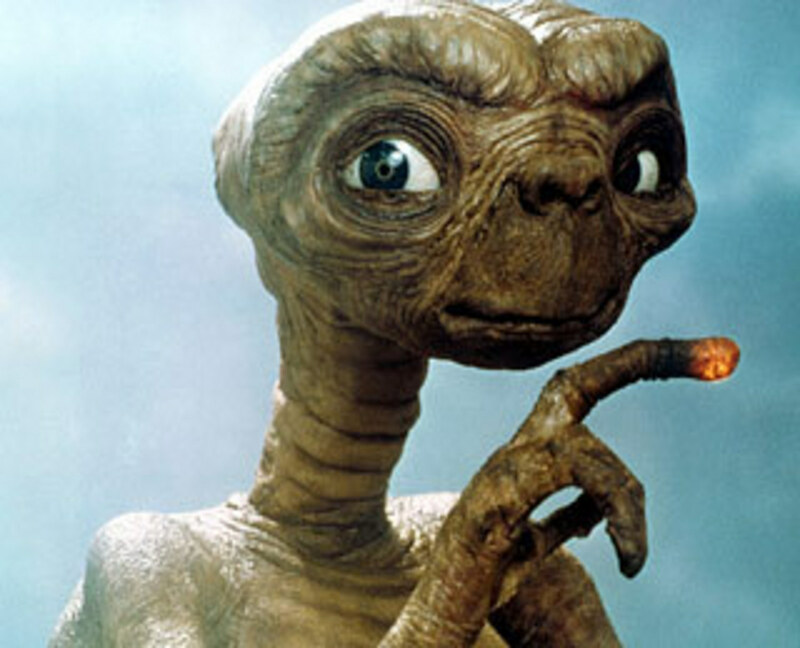 For example, E.T. is ugly. He’s weird. And yet we love him, we care for him, and we don’t want him to see harm. Marissa Meyer wrote in a robotic sidekick that I really was rooting for. Yeah, I know. But it does go to show her talent in characterization. This is also an interesting experiment in imagery. When I read a book, I tend to picture the setting and characters on the grittier side. I’m sure that the author of Watership Down would be surprised at the amount of battle scars the rabbits had when I read the book. Why I bring it up is that I started reading Cinder and pictured it a little on the grim (Grimm? Get it?) side. We meet Cinder when she’s detaching her foot, after all. When the Lunars show up, though, they’re straight out of anime in their descriptions. I could see them menacing Sailor Moon or the Gundam Wing pilots. No complaints from me, it just was something that caught me off guard. Cinder looks to be a popular book. With testing going on, I haven’t been able to booktalk it, but the handsell will be easy. The cover is amazing and even caught my youngest daughter’s attention. “Dad, why is that girl’s foot evil?” “She’s not evil. She’s just a cyborg.” And that, my friends, sums up the whole conflict of the book in two sentences. Legend is set in a dystopian future where the United States no longer exists. (Does that sound familiar?) Thankfully, only a few times did it tread into Planet of the Apes/Battlefield Earth “We were on Earth ALL ALONG?! ?” territory. What really drives the storyline are the characters. Day is 15 years-old but a master criminal a la Robin Hood, stealing from the Republic and giving to the citizens of the poor sectors. June is a master tracker, a police officer in the style of Javert from Les Mis. Day is accused of killing June’s brother and she vows to track down the criminal…by the stars (I couldn’t resist a Les Mis reference). Romantic tension and a jealous third character? Check. A hero driven to save his/her sibling from the evil government? Check. Fighting with wits instead of a big gun? Check. I like how Lu worked in some of those standards for a dystopian YA novel. The guns are so advanced that they track which user is firing them. If a criminal is on the run, he doesn’t want a gun blaring his location to government computers. I do appreciate that Lu did her research when it comes to hacking the computers. She describes what privileges the user needs (instead of just having the character say, “I hacked into the computers”), but doesn’t go into detail with how to do it. This isn’t The Cuckoo’s Egg. In a sea of current dystopia, Legend stands out. Gone is whiny angst, replaced by action stars that threaten the existence of the Republic and the Colonies. The pacing matches that of a Hunger Games, a decent balance between dialogue and jumping off of a building. There are decent plot twists and turns that go beyond “The evil government is evil.” The sectors seem real, like actual people live there, and definitely have the Les Mis vibe. The book is already being adapted for the big screen and its producers are Marty Bowen and Wyck Godfrey, the people who brought you a few movies about some book called Twilight. I’m going to go out on a limb here and predict that you’ll hear more about Legend as it gets bigger. It definitely has the makings for a series. This one’s a Star Wars book, but it’s a little different because it’s built around the MMORPG The Old Republic. Sean Williams also did the novelization of The Force Unleashed , so he’s familiar with taking a guy walking around slashing things with a lightsaber and creating some connecting narrative. The Old Republic has a storyline, but what makes it different is that multiple users play along and help create the experience. That being said, Fatal Alliance feels like an online role-playing game. Each character represents a playable class in the game. You have your grizzled soldier, your naive Jedi, and your conniving diplomat. Williams did creatively twist some characters, but for the most part, these are characters we’ve seen before. There is a mystery driving the plot. A planet not in the charts promises wealth for both sides of the galactic war and two different parties try to get there first to stake a claim. You may have guessed already that the planet has a hidden danger and that there will be some kind of alliance…a fatal alliance…that forms to defeat the common enemy. What I really liked was seeing main characters from both the light and dark side of the Force. This is one of the first Star Wars books that I’ve read where one of the Sith may actually be a protagonist alongside a Jedi. (I know there are books that detail the bad guy perspective, but not one that I’m familiar with where both sides are the heroes.) It makes sense, though, when you consider the source material is a game where players can create characters from any place on the moral spectrum. I enjoyed reading it. Granted, I’m a Star Wars fan, but someone picking up this book is probably going to be a fan. I more want to highlight it for students who know about the game and want something to read that’s connected to it. Check out the trailer on iTunes by clicking here. I won’t spoil too much, just that it does include the platform/minefield scene that made me realize back in 2008 that Hunger Games was going to be different than other dystopias. Will the Ender’s Game movie finally get made? One of my favorite books of all time, Ender’s Game, has been in the process of being made into a movie for a very long time. Orson Scott Card has been diligent about making sure the screenplay stays accurate to the feel of the book. He has had to stand up to movie executives who have wanted to cast twenty year-old heartthrobs as the six year-old protagonist. A major theme of the book is innocence lost and Ender’s age plays a huge role in that. Well, Summit Entertainment just announced a release date of March, 2013. That’s interesting, considering they don’t have a cast yet. I guess release dates can always be moved. Anyone who has talked to me about book to movie adaptations knows that I’m always distrustful of a February/March release date *cough* Hunger Games *cough*. The big movies come out during Summer or Winter Break, not Spring Break. Orson Scott Card did have some comments about the film that you can find here. C-3PO has seen better days. Because the pop-up book is so popular, he’s been made to suffer. It’s his lot in life. If you read my review of Matched, you’ll know that I’m starting to get worn out by my favorite genre. I love dystopian sci-fi, but, like eating Hot Pockets for a month, it starts to get old. With that in mind, Divergent had to work really hard for me to get over preconceived notions. Yes, there were maniacal government workers. Yes, there was a secret the protagonist had to hide on penalty of death. Where Divergent exceeds, though, is in what Veronica Roth did not do. Tris did not have to choose between her childhood friend and the wild, mysterious boy. The development between her and Four is paced really well. The other boy that tries to make advances is awkward and almost provides a little comic relief. So yes, many of the plot elements have been done before, and done recently (I could have sworn I’ve seen that ending before), but it’s still a fun story. Dystopian sci-fi used to be my favorite genre, but now the plotlines are very, very similar. There were still parts that caught me off guard, which is why I can give it my recommendation. The Dauntless scenes were great and I loved what Roth had to say about life. It was every jumping off of a train or diving into a simulation that kept me going. Plague is book four in the Gone series. If I’m telling the full truth (which now there is a mutant kid who can tell if you’re lying), I was a little hesitant to read Plague because I thought that Michael Grant had finally sold out by telling a killer virus story. That story has been told before. The flu does go crazy in the FAYZ, but the bigger plague is like “swarm of locusts” plague. The Darkness (still one of the cooler YA villains) has summoned bugs that breed like parasitic wasps (National Geographic should be labeled as a horror channel). The bugs, conveniently enough, cannot be damaged by Sam’s laser hands and the residents of Perdido Beach must find some way to survive. What always impresses me is that Grant can keep the story going full-tilt until it explodes in the last 30 pages. I did know going into the book that this was not the end of the series, so I knew there would be huge gaps left, but that doesn’t take away from the enjoyment. Amidst all of the superpowers lies a story of teens dealing with tough teen issues. This one is just as edgy as the previous three books. The ironic part is that Grant doesn’t use swearing in the narrative. You’ll see characters say a “rude word” but not read the actual word. I’m glad because the issues that the kids deal with are tough enough without language distracting for some readers. More than one teen battles depression, which is extremely realistic considering how chaotic their world is where life can end unexpectedly. Some have a crisis of faith. The girl running the makeshift hospital has to decide who to treat and who to let die. Tough stuff. Romance shows up and is used to show the duality theme that runs throughout the course of the series. Sam and Astrid seem to be the perfect couple, but as life hits them hard, they are rocked badly. Caine and Diana are together, but Diana must come to grips with Caine’s true nature (FYI: HE’S CRAZY). These two relationships are just one example of Michael Grant making comparisons between characters. Computer Jack struggles with his new muscle-bound identity and whether he’s defined by the people around him. Brianna floats between comic book fantasy and grim reality. Astrid has to deal with being the good girl even though she wishes she could ditch her autistic brother. Like I said – tough issues. My only complaint is the inclusion of throw-away characters. The series has a ton of kids, but that allows Grant to focus on scenes across an entire town. This is more than just Sam and Astrid’s story. Yet the throw-away characters are the ones who Grant names and in the same sentence has a bug eat. “A boy, who people called Buster, oh no – bug eats him.” (My own version of the scene, not Grant’s own words.) Grant was not afraid to kill off characters in the first three books, so I wonder why this book mainly had Red Shirts dying. Not a big complaint, since most authors are afraid to kill off characters they love, but I did notice. Plague is a very enjoyable read and it always surprises me how quickly the series reads, considering the length of the books. The fourth book sits at 490 pages. This is a case where you definitely have to read the first three books in order to really get what is going on. Librarians, it is worth the purchase, especially since I know the series is super popular.